Got Triplets? 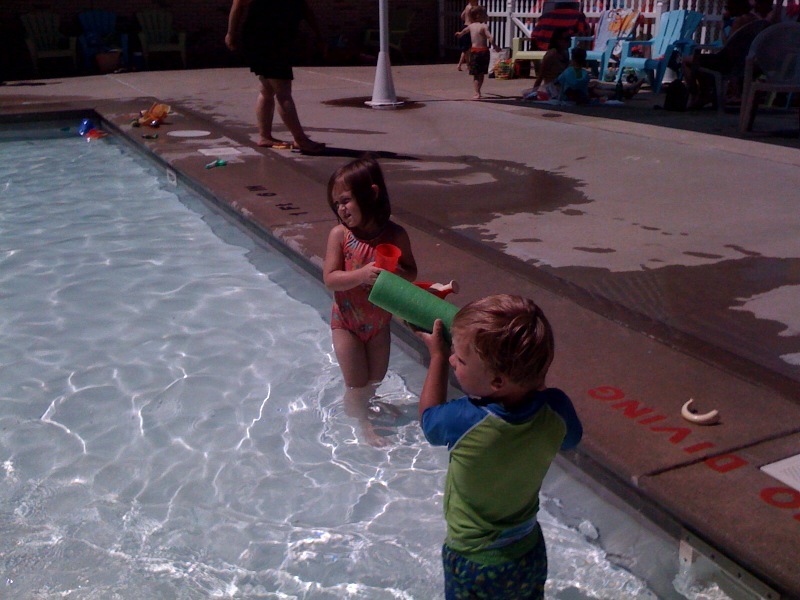 : It's fun to swim at the Y-M-C-A! It's fun to swim at the Y-M-C-A! Our Nanny has a membership to the local YMCA, and she was generous enough to put the boys on her pass, too. 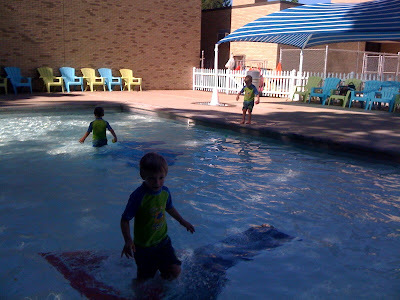 But the boys loved their visit to the YMCA "walking pool" -- I love it because it is a two foot deep pool that is fenced off separate from the big pool with its own lifeguard! 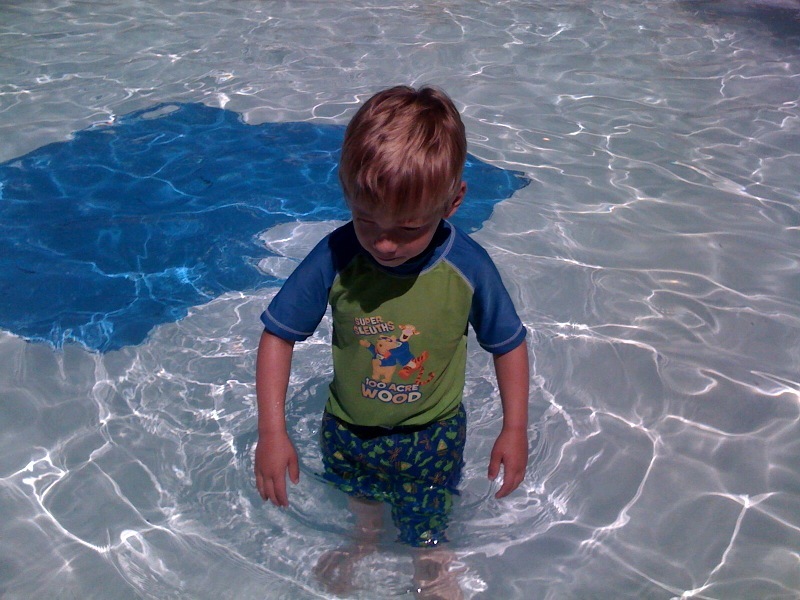 Tanner kept walking laps in the pool! Hayden, proving again he'll be the last to have a girlfriend, used a water gun to soak the girls playing with them at the pool. Tanner made sure to take time out in the shade for a snack and juice! 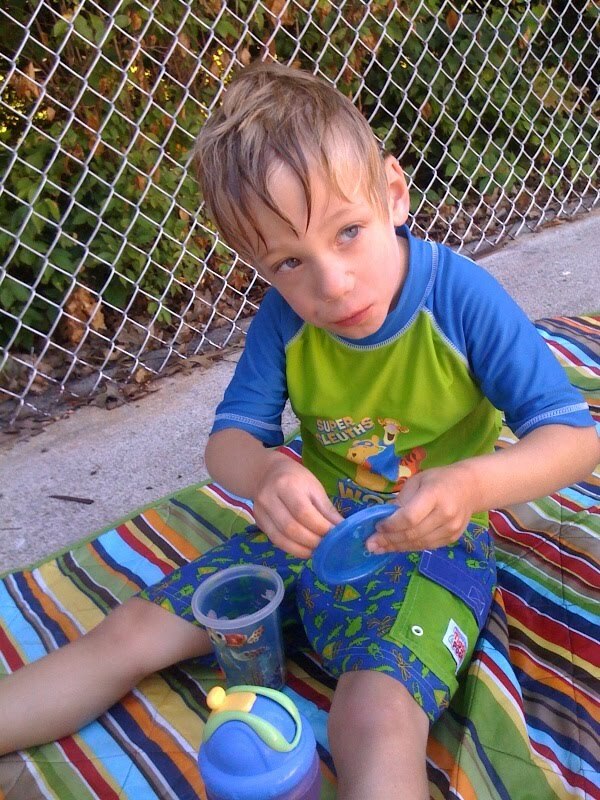 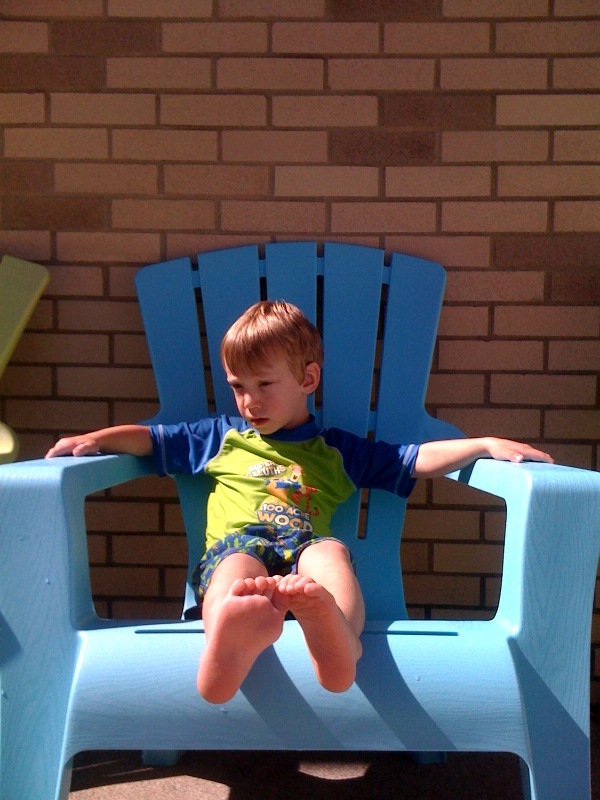 Noel is not my water bug this year ... but he sure does look content simply lounging by the pool! 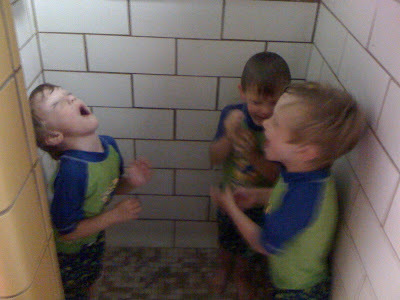 I'm not sure what the boys enjoyed more: the pool or the shower afterwards?